Participate in an old-fashioned quilting bee and create a colorful, symmetrical quilt. Quilts can be created with a vertical, horizontal, or diagonal line of symmetry. Quilts can be folded to look for reflections, or rotated to test for rotational symmetry. Recognize two types of symmetry: line symmetry and rotational symmetry. Identify the types of symmetry that apply to a particular image. Draw the lines of symmetry for an image. State whether an image has twofold or fourfold rotational symmetry. 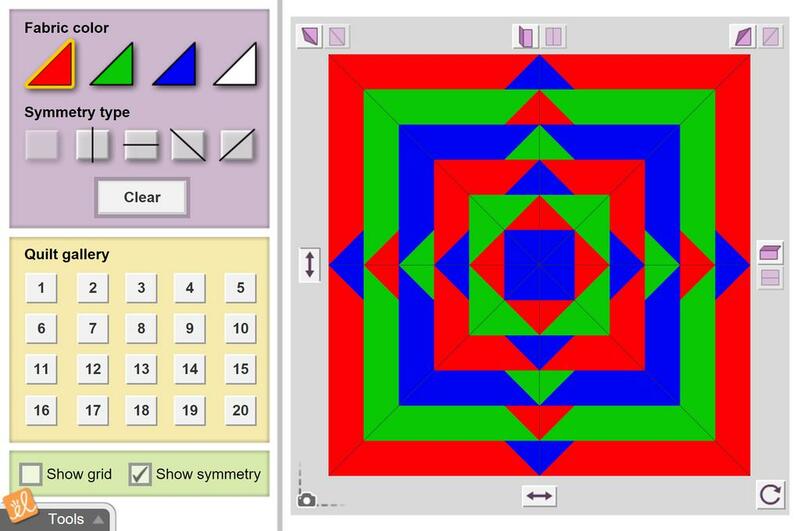 Create images that demonstrate types of symmetry.